Congratulations! You've arrived at the final lesson of your Compass Playbook Perfect™ Work Course. You have participated in a program that has provided you a variety of creative ways to explore the depths of your desires. Where you are on your journey now is at a much more powerful place of knowing, trusting and understanding that you are able to choose anything you want. You are transformed—you won't be able to go back to your old way of thinking. You now have the ability to choose what you think about and you now know that how you feel is key to identifying what you are focused on so you can shift your thinking toward more positive thoughts and toward your Magnetic North. This Course is as long as it is for a specific reason: to create a new habit of practice that keeps you on track and moving toward your ideal relationship. Creating habits that are conducive to growth and expansion are pivotal to increasing your sense of empowerment and happiness in life. You have to do the work, however. In this TED video, Matt Cutts talks about his experiment of doing something new for 30 days, and how new things allowed him to experience a new richness in life. In the video, he says: "If you really want something badly enough, you can do anything for 30 days." Nobel laureate Eric Kandel, M.D., showed that when new memories are formed, the number of synaptic connections in the sensory neurons that are stimulated doubles, to 2,600. However, unless the original learning experience is repeated over and over again, the number of new connections falls back to the original 1,300 in a matter of only three weeks. Therefore, if we repeat what we learn enough times, we strengthen communities of neurons to support us in remembering it the next time. If we don’t, then the synaptic connections soon disappear and the memory is erased. This is why it’s important for us to continually update, review, and remember our new thoughts, choices, behaviors, habits, beliefs, and experiences if we want them to solidify in our brains. It's critical to embed what you've learned in this Course into your daily life. This Play is about how you can create an action plan to make what you've learned stick. Just like an exercise regimen you've adopted to get in shape, if you stop exercising, you fall back to where you were before. But it's more emotionally painful because you know that you can have a better feeling/looking body because you know it's possible. The same goes for what you learned in this Course. You now know how to shift your thinking and feel better about who you are in regards to your work and how to move yourself closer to achieving your ideal. 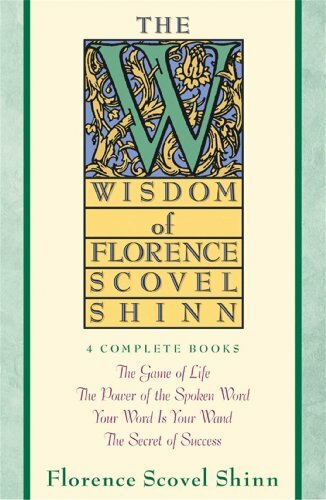 Make a list of ways you can incorporate the Plays in this Course into your daily life. Plan a new routine that includes writing an appreciative inquiry story (what you appreciate∫watch the video below for an important distinction between appreciation and gratitude—about any and all aspects of your life) once a day. It doesn't matter what you appreciate, as long as you write about something in your life that you appreciate. It could be the weather, your technology, your kids, your car, your shoes, your growth—it doesn't matter as long as you're writing with love and appreciation. Get support from those around you. Make sure that those who want the best for you continue to be supportive and cheer you on to a better place. Acknowledge them for their support and love, and appreciate who they are in supporting you achieving your goals. Refer back to any and all of the Plays in this Course. Because you are always growing, evolving, developing new preferences and making different choices as you move through life, redoing the Plays is like doing them for the first time. You can continue to get new benefits out of each Play because you are different each new time you do them. Reduce or eliminate exposure to things that detract from your positive energy flow such as watching the news, hanging out with people who don't love and support you, toxins in the environment or in your diet, stressful situations at work or in traffic, etc. You'll know if they detract from your positive energy flow if you feel bad when you experience them. Surround yourself with experiences that help you point to your Magnetic North. But notice how these influences start to drop away from your experience as you do this work. It's a wonderful side benefit of becoming more positively expectant. Give it up and let go! Of all the Plays in this Course, the very most important Play is to understand how to let go of what you want. Yes, you read that right. By truly letting go of the desire to be in your ideal work experience, you are shifting the energy that pulls your toward noticing that you've not yet achieved it yet. It allows the well being and all that you want (which is already created and done for you) to come flowing into your experience. Do or think whatever you can to make peace with where you are. Basically, if where you are isn't where you want to be, STOP giving it attention. Distract yourself by appreciating where you are. Do the things that make you happy. Love yourself. Relax the tension around not having achieved what you want yet. You can make a choice about not being where you want to be and being miserable about it or not being where you want to be and being happy about it because you control what you think about it. List things you can do to make yourself feel better, and then schedule and do them. Remember that you can only control YOU and WHAT YOU THINK. You can't control other people, the government, the weather, the traffic, the sun rising or the sun setting. Be conscious of and okay with that. How can I not be experiencing my ideal work and still be happy? What am I doing to love myself more and make my number one most important relationship the one I have with myself? What if I never get to experience doing work that I truly love? What will my life be like if it never happens? How can I be at peace and happy where I'm at now? How can I let go of the desire to be doing work I love and still be happy, especially if I'm in a job I hate right now or unemployed? What can I do to help myself relax, trust and be more patient about where I am right now? How can I distract myself from my lack of having my dream job by focusing on other important aspects in my life that are going well and make me happy? What other things can I find in my life to appreciate? 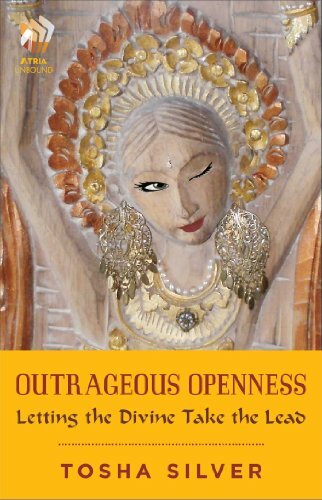 In her book, Outrageous Openness: Letting the Divine Take the Lead, Tosha Silver writes, "Divine Source says that if we attune to the sublime level where all is One, our needs will be met in the perfect way." You will feel incredible relief when you drop your attention to the lack of your ideal work (or any worry for that matter). Get out of your own way and let the Universe deliver to you all that is on your path. 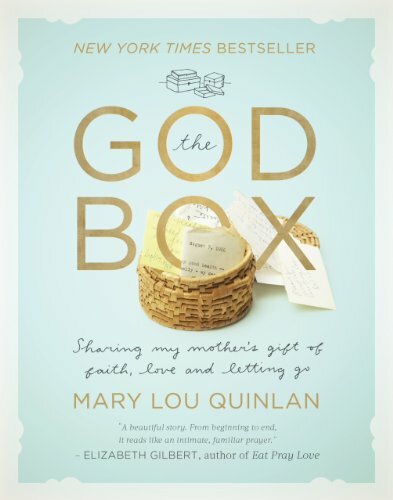 One technique that Tosha also mentions in her book as well as Mary Lou Quinlan in her book, The God Box: Sharing My Mother's Gift of Faith, Love and Letting Go, is to create a God Box. A God Box is a physical container that you designate as a place to deposit your worries, fears, angsts or concerns written out on pieces of paper. Wency Leung also quotes Neil Douglas-Tubb in her article, The God Box: Transferring Your Worries to a Higher Authority, "God Boxes not only help people develop discipline when they regularly use them, they also give individuals the mental space for solutions to arise." This physical action reinforces your intention to release any lack- or fear-based thought/belief. It reminds you that you are not walking your life path alone, and that you always have the support of the Creator to manage affairs on your behalf and for your highest good. Consciously making the choice to let go of your concern will relieve you of any doubt that what you want is already in its complete and ready form. Let go so you can let it in and live the life you were meant to live. Thank you for participating in this empowering program. Thank you for giving yourself the opportunity to improve your ability to live the life you want. Thank you for living the life you've lived to this point and creating the experiences and understanding that have generated all that you yet want to live. Thank you for trusting in a higher power to unconditionally love you, walk your path with you, and always be there to provide you guidance and encouragement whenever you open yourself to receive it. Thank you for choosing to be a more powerful force in your own life and for living by example so others can be inspired to find their own power. And most of all, thank you for being you. Be creative. Be love. Be You.